Renowned by its crews and the men and women it has protected on the ground for decades, the A-10 Thunderbolt II, affectionately called the ‘Warthog’, continues to dominate the skies on CAS missions in conflict areas around the world. Despite first flying over 40 years ago, the A-10’s superior ability to execute its intended mission in modern warfare remains unchallenged. To honor this iconic aircraft, Motion RC and Freewing Models are very proud to announce the world’s largest and most definitive foam electric PNP A-10 Thunderbolt RC model aircraft in the world! Powered by twin 80mm EDFs, this 1700mm wingspan beast is larger than the two 1500mm wingspan twin 70mm EDF A-10s on the market, while still remaining easy to transport. The Freewing 80mm A-10 delivers the best balance between size, weight, thrust, top speed, stall speed, transportability, rough grass handling, and overall scale fidelity. As an added bonus we've included a full compliment of highly detailed weapons in the box; a $50 value! The model is assembled from just ten main parts. Removable wings and a convenient flexible servo wire harness accessible at the wing root ensures a safe and reliable electronic connection at all times. The A-10’s wings are composed of hollow chambered foam with an interlocking matrix of plywood ribs, carbon square spars, and aluminum blocks, providing rigid yet supple handling. Recognizing requests from our customers who don’t have access to smooth paved runways, the Freewing 80mm A-10 was specifically designed to be the most grass-capable PNP EDF on the market. While sporting a scale Oleo nose strut, the main struts are tensioned trailing links. With foam rubber tires over 3” tall and 1” wide, we tested the Freewing 80mm A-10 to takeoff from extreme grass 3” tall. The main landing gear mounts are arranged as part of the aforementioned plywood, carbon, and aluminum matrix, to distribute rough landing forces throughout the wing and avoid critical damage. In the air, the A-10’s all-new power system delivers a fully scale flight profile. Tall vertical loops, hard “jinking” turns, stable slow flight, and authoritative power. Critically, this model was designed to fly at all throttle points, both upright and inverted, without pitch sensitivity. 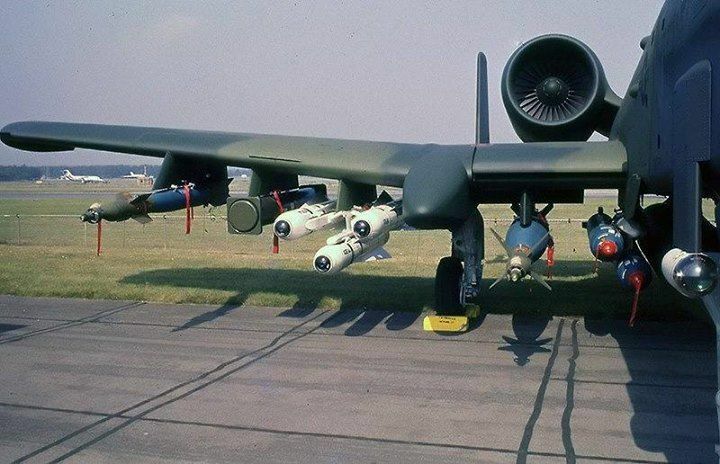 There isn’t any nose weight in this A-10; instead various factors were optimized in concert so you won’t need lots of up elevator to fly level, and varying power suddenly won’t cause the nose to pitch up or down. For pilots wanting to install a matched pair of their own 90mm EDFs on 6s, we will also be offering a 90mm nacelle which bolts into place and retains the outer dimensions of the stock 80mm nacelle. Own the world’s largest, most capable, most customizable, and most powerful foam electric PNP A-10 and add a definitive scale powerhouse to your hangar today! Am relegated to flying from a pretty short groomed grass(but a little bumpy) runway and can even get the ol' A-6 off the deck with just a little longer than normal ROG. Even though the Warthog has a 5' bigger span than the Intruder it's single wheel nose is larger but the main gear tire was actually smaller. Is this going to be problematic for us turf guys? 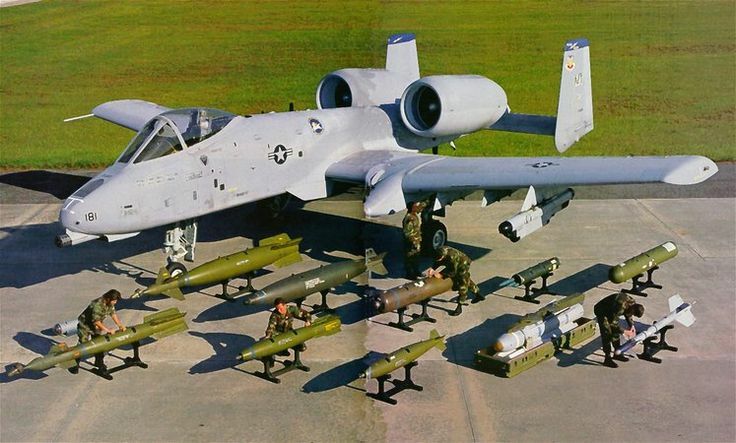 Hey OV10, don't worry about grass, my friend, this A-10 will have the biggest wheels yet we've ever put on a jet. Oh boy! !...Dumping out the Ole coffee can...counting my savings. Forget the popcorn emoji, we need a gigantic movie theater emoji icon. Well, I'm glad this is not coming until early next year. I blew my RC budget (and then some :rolleyes on a bunch of new planes recently. So for now I'll have a Mig-21, Bearcat, Ta-152, F-14, F-15, and Tigercat to keep me busy until this drops. I love the 80mm setups so much I'll probably stick with that, especially if it comes with the new motor used in the Mig. It's a great time for foamy electrics! Seriously interested to see more of this. The A-10 is my all time favorite warbird. You may want to use a LARGE can as we aren't done with new stuff coming out! Big List Big List!!! Wayne, I'm guessing you took that photo in your avatar of a jumper departing a C-130... or were you the jumper? We'll have some details ready in a bit. As Tom mentioned in his other thread about coordinating new releases, I've been flying and refining our 80mm/90mm A-10 for almost six months. Why do you call it "80mm/90mm"? Is the size not written in stone yet? Nevermind. Just read the other thread that 90mm is an upgrade option. Haven't read anywhere what the wingspan is, though. I currently fly the twin 70mm LX version A-10 off grass and even though it has just enough power to move the thing around, it can get off rough or plush grass just fine - guessing in about 150 feet. I've modded mine with the larger wheels/retracts from the Freewing SU-34. Depending on the weight and span of this new one, it should work off grass no problem. The A-10 shape seems to have very good lift. It comes with 80mm fans but we've designed it to accommodate 90mm fans for customers who want to upgrade. We have a 90mm drop in upgrade kit which we've tested and is ready to go. Yes, we also have an awesome weapons kit. Screw that patience program Lon. Got the F7F preordered and so as I get a couple more gigs under the belt that A10 is mine also. The boys @ NEFI better be ready this coming year because in support of my user title it is nothing but twins for me out there this year. How are the nacelles engineered to allow for the larger 90mm EDF units? Is there there specific foam enclosers that are removed to allow an enlarged tab attachment area for the 90's, as well as the room for the intake lip and larger EDF circumference? Also, what about the exit diameter, which is different from the 80mm to 90mm upgrade? Two different nacelles same size scale outline with different sized internals. lay it on me fellas! Can't wait! Thanks Ryan! That's too cool and a great way to accommodate the change. That's what I was hoping for, and veryyyyyy smart . It looks incredible, in CAD!